The cover image of a book can tell you many things: its identity, profoundness, and vision. When you open the book, it transforms into a portal of sheer exploration, taking you to places, personalities, and positions of self-discovery, nostalgia and responsiveness, both real and imagined. 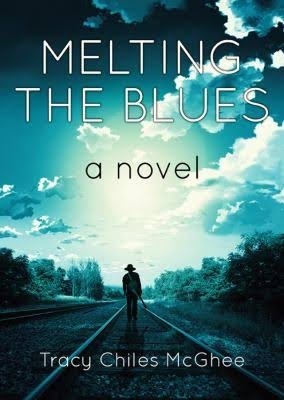 In Melting The Blues debut novelist, Tracy Chiles McGhee, takes us on a colorful journey in this historical, symphonic-filled and charismatic drama. She artistically generates a chock full of details and discoveries, characters and complexities, and emotional endeavors rooted in the year of 1957, a time in which ethnic diversity was challenged through desegregation, and in Southern Arkansas, a place where historic essence has left its compelling seasoning for us to taste. Bit by bit, the picture comes into focus, providing clear detail on circumstances, psychological barriers, emotional breakthroughs, progress and outcome. Through these hues of blues, a little wisdom in this book gives us a lot of hope in our own lives. As you find yourself captivated by the unraveling of commitment and community throughout this story, you are, too, presented with a high-definition image that contains a depth of authority and approval, allowing one to dream with courage, freedom and endurance. Through this lens, we get to travel with Augustus Lee Rivers, the main character, who seeks reassurance and balance through his life as both farmer and bluesman. Take a front row seat from a single angle, with book in hand, and transport yourself into these melodic pages with discernment, enthusiasm, gratitude and a good cup of coffee! Tracy Chiles McGhee is a multi-genre writer and the debut author of the novel Melting the Blues. McGhee is the Winner of the 2016 Jessie Redmon Fauset Book Award in the category of First Fiction. She was a Finalist in the 2014 William Faulkner – William B. Wisdom Creative Writing Competition in the Novel-in-Progress category. 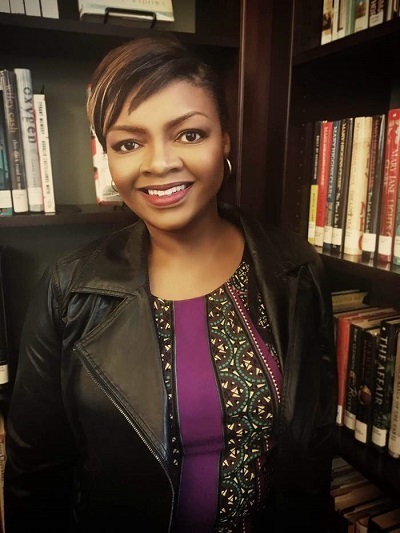 In addition, she received the distinction of “Honorable Mention” for the Penelope Niven Creative Nonfiction Award in the 2014 International Literary Awards presented by Salem College. McGhee was rooted in Chicago, Illinois, raised in Mount Holly, Arkansas, nourished in San Francisco, California, and stirred in Washington, DC. She is the Co-Founder of the Literacy Empowerment Action Project. In addition, she is an Ambassador for the National Museum of African-American History and Culture. McGhee graduated from Catholic University Law School and Georgetown University.